Teachers Recruitment Board selects the PG Assistants in Chemistry by conducting PGTRB Exams every year. In particularly Chemistry, one of the interesting subject. The PGTRB Questions are asked in depth of the content. 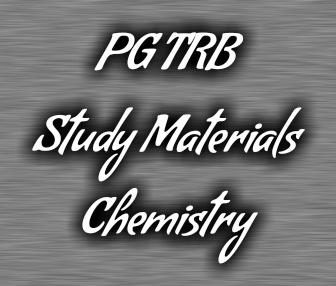 So the PGTRB Chemistry preparing candidates first download the PGTRB syllabus. Then they working hard to sutdy the content throughtly and deeply. The candidates must ready to answer the questions of each and every unit. In Chemistry we should not only concentrate on the content theories to solve the problems. calculating method questions are asked on the basis of the theories. So we must pay attention on the calculating method questions and basic principles (Laws). While preparing for PGTRB Chemistry exams. Group discussion is very useful to memory and to clarify any doubt. The previous year question papers play a vital role in preparing period. It will help us to Evaluate ourselves. 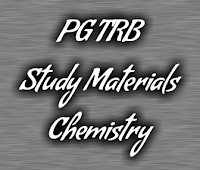 Also We will give lot of PGTRB Chemistry Study Materials Also.